Microsoft has released a new build for Windows 10 Anniversary Update (AU) which is scheduled to be released on August 2nd, 2016 to Windows Insiders on the Fast ring, and the Slow ring soon after. The new Windows 10 Build 14393 is slightly different from all previous builds, in that this build is a serious candidate, and in fact widely speculated to be the final RTM build for Windows 10 Anniversary Update, previously codenamed Redstone, which is the next major update equivalent of service pack after Windows 10 November Update. While Microsoft has moved away from the concept of RTM (release to manufacturing) in favor of Windows as a Service where Windows systems continuously receive updates as and when available, however, Microsoft does still ‘freeze the code’ on major milestone, which many still regards as RTM, RTW (release to Web), final build or public release. The final RTM build is the one Microsoft built into official ISO images for downloads, distributing through offline channels, and sent to OEM for loading on new PCs. Nonetheless, Microsoft will continuously update Windows 10 Anniversary Update through ZDP (Zero-Day Patch) and Cumulative Updates for any minor issues, unless there are major bugs been found, where new build will be issued. ZDP and other updates will increase the minor version (build revision) of Windows 10, but not changing its major version (build number). Windows 10 Build 14393 has the build string of 10.0.14393.0.RS1_RELEASE.160715-1616. There are a few hints that led many to believe build 14393 is the RTM build. Firstly, the time is running out for Microsoft to sign off a RTM build. 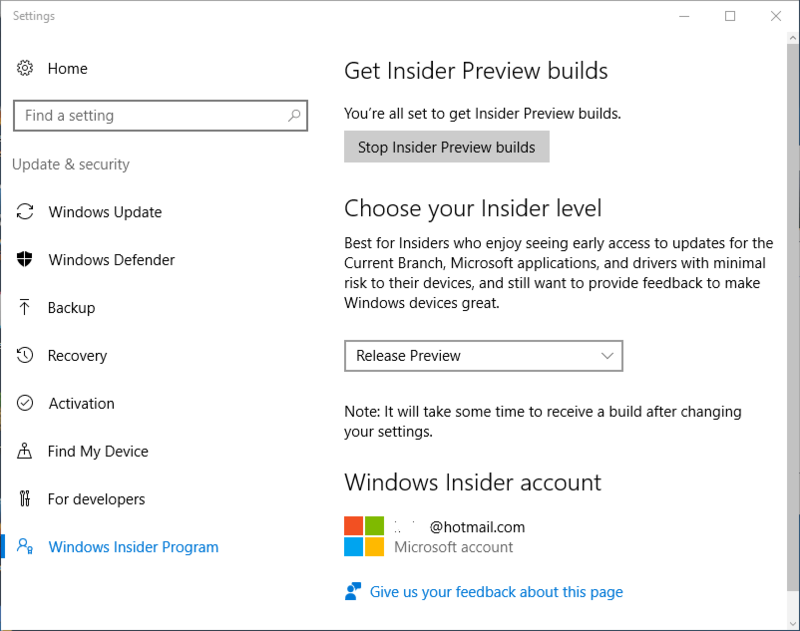 Secondly, a new Insider level (ring) is now available – Release Preview – which allows early access to updates for the Current Branch, Microsoft applications and device drivers. Current Branch is the term Microsoft used for build that is released to general public. In addition, SkipZDP registry key no longer exist. As a late stage release, Windows 10 Build 14393 no longer adds any new features. Instead, it just improved the reliability of Start, Cortana, and Action Center, and fixed issue so that iPod could be able to mount as USB mass-storage devices. There is much less known issues too, which only affects Surface Books and Surface Pro 4 users where a camera driver issue caused bugcheck (Blue Screen of Death). In fact, according to Microsoft, it’s a non-issue as bad drive is removed on updating to this build, while new driver will be available through Windows Update – another indication that this build likely a final build. For Windows Insiders on the both the Fast ring and Slow ring, download and upgrade to Windows 10 Anniversary Update by going to Settings -> Update & Security -> Check for Updates. If you’re on the Slow ring, expect it to be pushed to Slow ring in a few days, or you can switch to Fast ring now. Not yet a Windows Insider but want early access to Windows 10 Anniversary Update, join Windows Insider and get started to download and update now. After GA (general availability) in early August, Microsoft is expected to made available Windows 10 Version 1607 disc images as part of official Windows ISO images that are available for free download. After upgrading, your disk space will be short of few GBs as Windows take a backup of old operating system just in case you want to restore the previous operating system. But you can always reclaim the disk space by cleaning up the old Windows files, but be sure that the system is error free and you no longer want to downgrade. 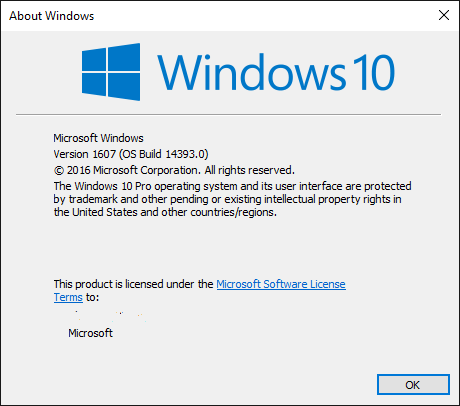 Update 3: Windows 10 version 1607 (build 14393) ISO disc images released. Update 1: Windows 10 Anniversary Update v.1607 Build 14393 has been released to Slow ring.